Is this where CO2-alarmism leads? KILL! KILL! KILL THE UNBELIEVERS! 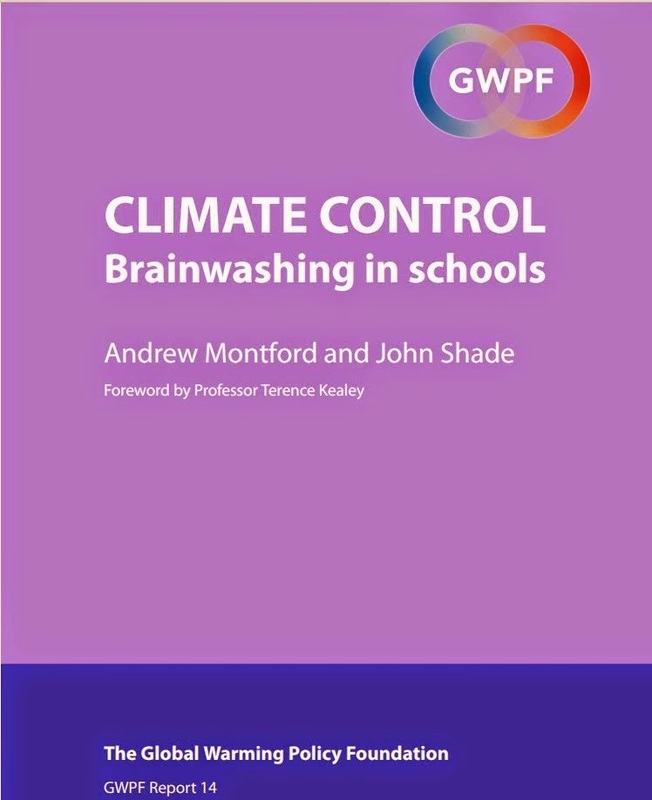 The luvvies in and behind this despicable film are so convinced of the dangers of CO2 in the atmosphere that they wish to kill those who disagree with them, including children. 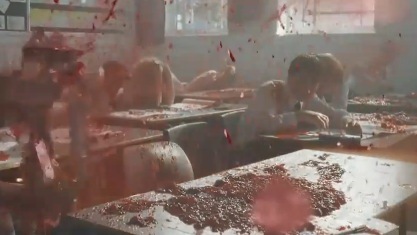 The film ends with gore from an explosion sliding down the screen. The film begins with a schoolteacher calmly blowing up two pupils in her class who decline to give in to her political requests , leaving blood over all the others in the classroom. Now this is at a time when there is not a single piece of observational evidence that anything at all unusual is happening to climate. The increase in a trace gas is so small that it remains a trace gas. The role of it in the climate system is far from 'settled', with deeply qualified scientists estimating its effect ranging from a small cooling, through negligible to a modest warming. A handful of scientists and programmers have created computer models of climate which include an additional hypothesis of postive feedback involving water vapour. Then and only then do we get more scary scenarios of warming. We also see in the model outputs a remarkable and pronounced hotter zone in the upper troposphere - one that has not been observed. Ordinarily, the scientific method would say - 'model prediction not confirmed by observation, model not good enough'. Some models also predict a hot spot over Antarctica - one that should be clearly detectable by now, but it is not there. 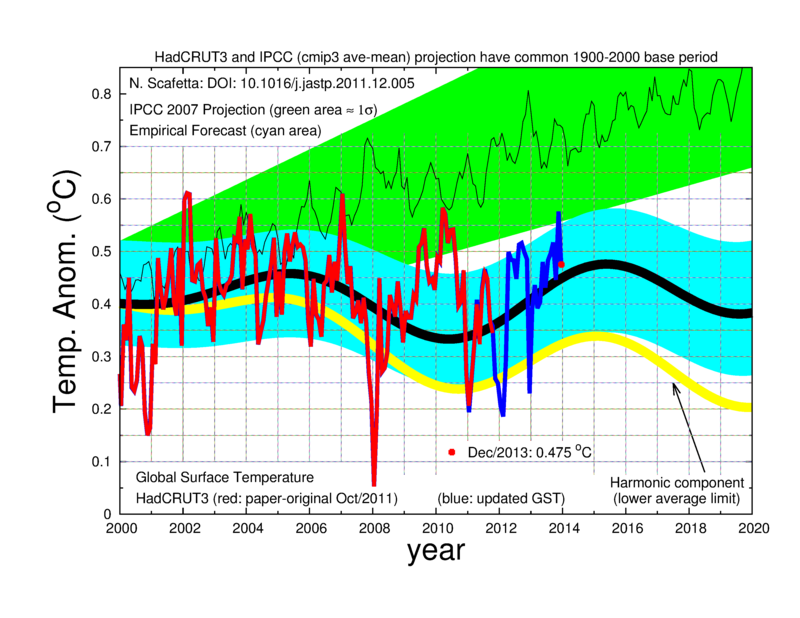 None of the models predicted the break in the warming since around 1998 to the present day. None of the models include the fact that many weather station records show no overall warming at all in the past century. The models are not good. They are not fit for prediction. Yet there is nothing else that deserves an alarmed reaction. Nothing. 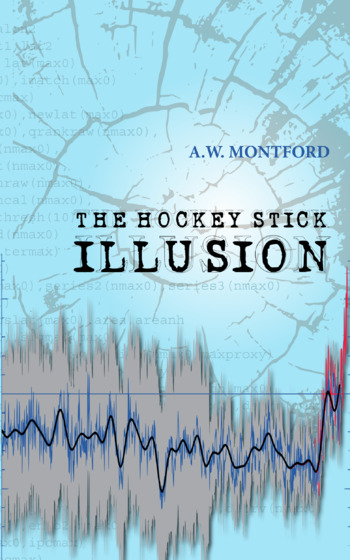 The luvvies want to kill and destroy based on the output of computer models of demonstrably poor quality, in a field where there are substantially different theories about the impact of CO2 on climate. Only those theories which predict a modest to negligible impact have been supported by observations of the real atmosphere. Note added 8 Nov 2011. I regret the term 'eco-blackshirts' in the title. Although I think such people could readily be recruited, the filmakers themselves did not actually apply real violence to those they deem to be so evil that they, or their children, must be blown up by terrorists acting for the climate cause. They merely promoted such violence. I wonder if they are still part of it? Note added 28 April 2012: Violent imagery used by out-of-control EPA bureaucrat: cruxifixion. "The Romans used to conquer little villages in the Mediterranean. They'd go into a little Turkish town somewhere, they'd find the first five guys they saw and they would crucify them. And then you know that town was really easy to manage for the next few years." Note added 17 April 2014. The close relationship of eco-fanaticism with National Socialism in Hitler's Germany is illustrated by this quotation: '"We recognize that separating humanity from nature, from the whole of life, leads to humankind’s own destruction and to the death of nations. Only through a re-integration of humanity into the whole of nature can our people be made stronger. That is the fundamental point of the biological tasks of our age. Humankind alone is no longer the focus of thought, but rather life as a whole . . . This striving toward connectedness with the totality of life, with nature itself, a nature into which we are born, this is the deepest meaning and the true essence of National Socialist thought." "In Australia, governments have adopted environmental education programs that teach children that human intrusion into nature is to be condemned and that man's life must be subordinated to the preservation of nature, by government force if necessary." In the game the children have to use the website's Greenhouse Calculator to find out what age someone should die at so they don't use more than the fair share of Earth's resources. They then click on a skull and crossbones symbol to explode the pig leaving only a pool of blood and a curly tail. Suggest they all get an e mail asking how long they have supported murdering children whose views do not accord with their own. The backfiring continues - there are now 3 different parody versions doing the rounds.